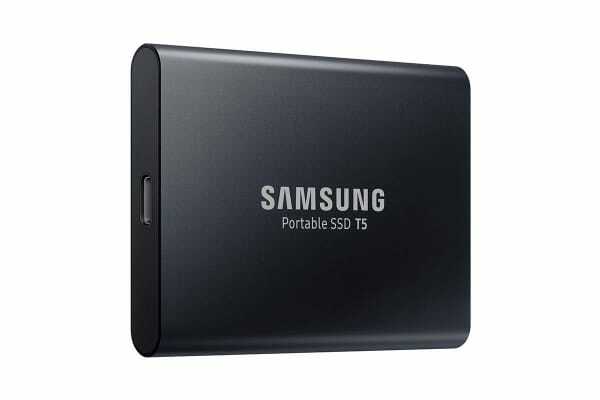 The Samsung T5 1TB Portable SSD elevates data transfer speeds to the next level and unleashes a new experience in external storage. 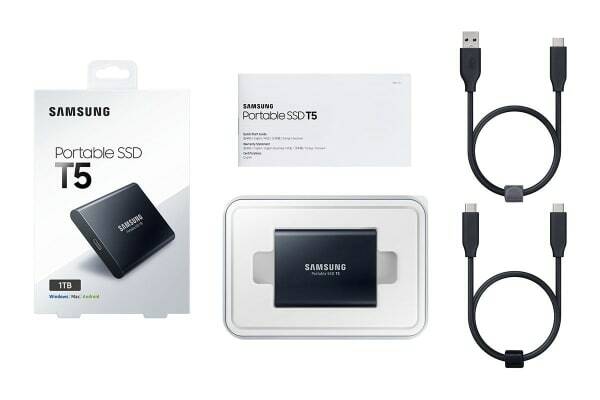 With a compact, durable design and password protection, the Samsung T5 2TB Portable SSD is easy to carry and stores data securely. It has no moving parts and a sturdy metal body, so it can handle drops of up to 2 metres. 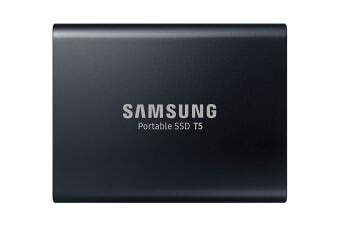 With Samsung V-NAND flash memory and a USB 3.1 Gen 2 interface, the T5 provides transfer speeds of up to 540MB/s. Transfers and backups of large-sized data including 4K videos and high-resolution photos will be much quicker and faster. Connect the T5 to an extensive range of devices from PCs, Macs, smartphones and other devices. The included USB Type-C to C cable and USB Type-C to A cable give you seamless connectivity without the hassle of purchasing additional adapters. Take everything, all your work and entertainment, with you. The Portable SSD T5 gives you simple and efficient access to your massive data so you can complete tasks quickly and on the move. Take along your documents, large-sized photos or videos and get things done wherever you go.